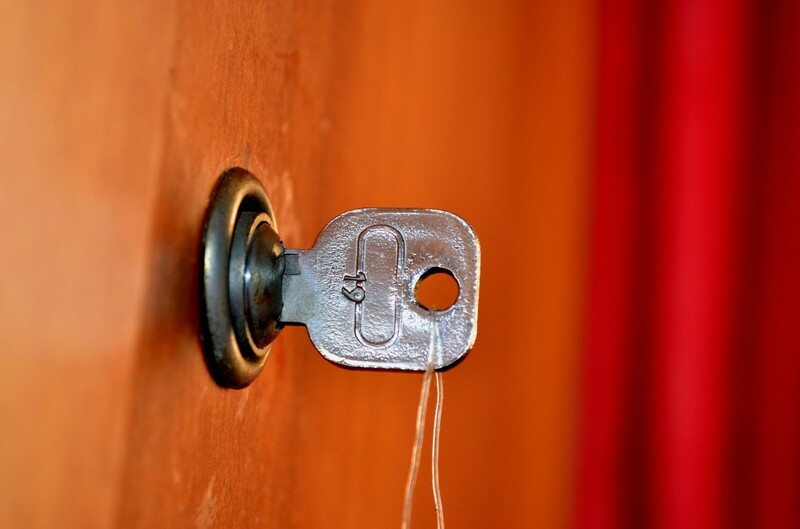 Let this serve as a warning to anyone who sets up housekeeping in a residence that someone has previously occupied: Make sure your locks are changed. You don't know who else has a copy of that key. I learned this lesson the hard way more than 20 years ago. The first person I met in my new apartment building was my next-door neighbor, an outgoing divorced man named Ron. He was unemployed and always home. In his mid-50s, Ron was the self-proclaimed social butterfly of the building. He typically kept his apartment door wide open — even with his air conditioning running full blast — so he could watch people come and go and invite them in to chat. After a few months, however, I began to avoid Ron. He tended to talk too long and overshared a lot of personal drama. 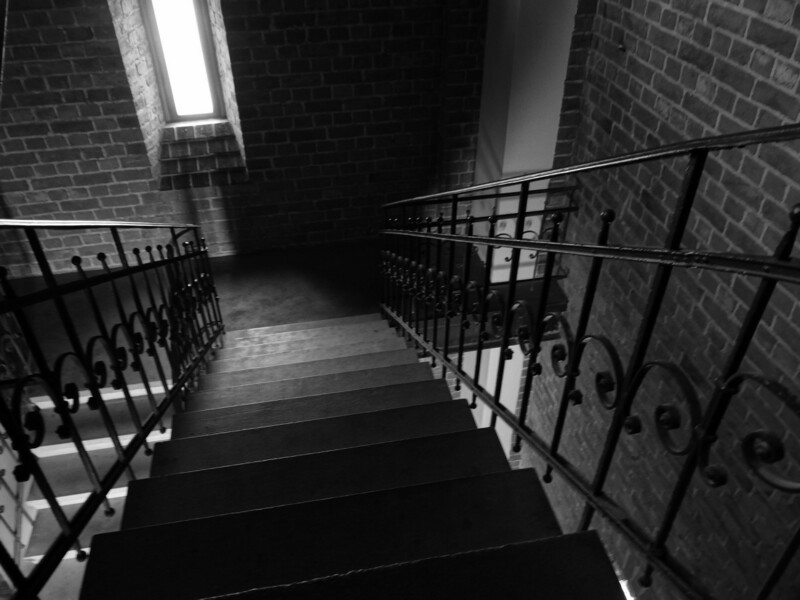 I found myself spending more time away from home and sneaking up to my second floor apartment to avoid his detection. Ron claimed he was having a long-term affair with a married nurse named Louise. He desperately wanted Louise to leave her husband. Ron said he had tried to commit suicide because he was so despondent about their future. Louise visited him once or twice a week, but from my brief interactions with her, I thought she was out of Ron's league. She was considerably more attractive than him and seemed too stable. It left me befuddled about what he could possibly bring to their relationship. 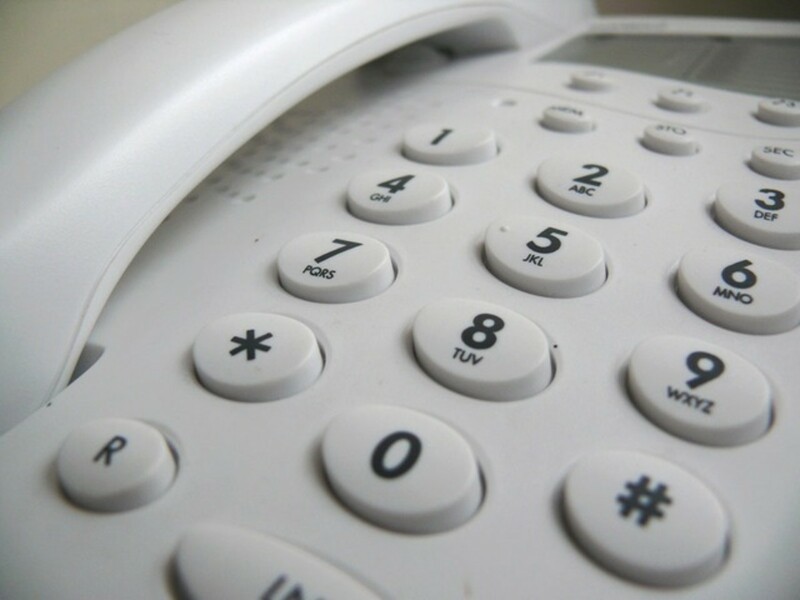 One evening, I returned to my apartment and pressed redial on my home phone. I was certain that my boyfriend was the last person I had called. However, Louise answered instead. Somehow Ron had been in my apartment and used my phone to call her. When I confronted Ron, he became distraught and blubbery, begging me not to alert police. He admitted that the woman who lived in the apartment before me gave him a copy of her key after she had locked herself out one too many times. Ron said his purpose for entering my apartment was simple curiosity and he just wanted to play with my orange kitten, Oscar. I could only guess what else he did in my apartment! What really sent shivers up my spine, however, came next. Ron gave me a "helpful warning" to always lock the sliding glass door to my balcony. He showed me how he could climb from the second-floor landing to my apartment's patio. Ron said he had helped the previous tenant break in to her own apartment that way. He also volunteered that Louise was a psychiatric nurse. I didn't need to hear anymore. I immediately called the apartment office to have the locks changed and shortly thereafter moved out-of-state with my job. Who knows what the real story was with Ron. What was he really doing in my apartment? Were he and Louise truly involved in an affair, as he claimed? Or, was she perhaps just a healthcare provider performing home visits on a mentally ill man? I reiterate: Make sure your locks are changed. Why do you think my mentally ill neighbor, Ron, was in my apartment? He just needed a change of scenery from his own apartment. Take the man at his word: he liked the orange kitten. He was trying on your underthings and fa-noodling himself in your bed. 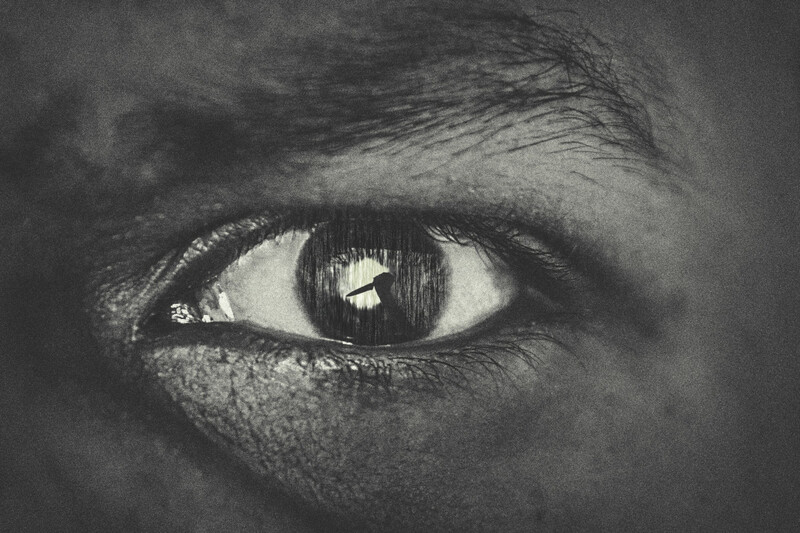 The U.S. Department of Justice defines stalking as "a pattern of repeated and unwanted attention, harassment, contact, or any other course of conduct directed at a specific person that would cause a reasonable person to feel fear." 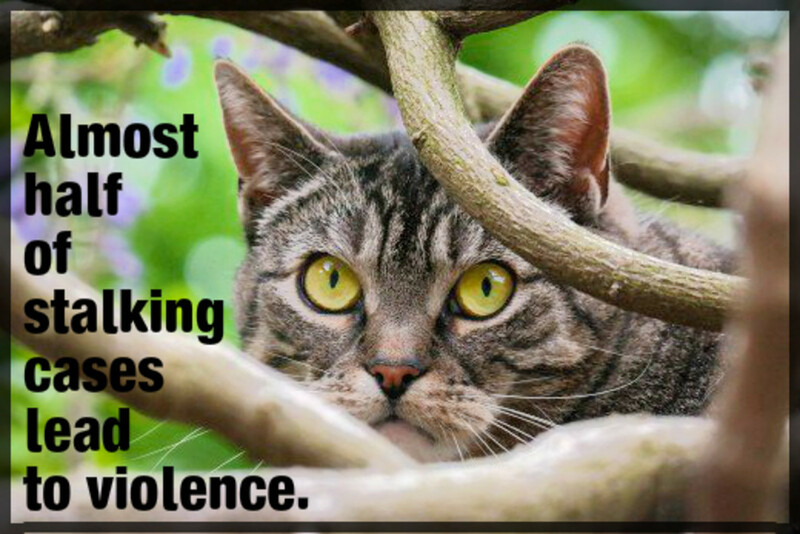 If it's repetitive, unwanted and causes the target to fear for their safety or that of a loved one, stop it. That's stalking. Sting, the musician who penned the hit, acknowledged, "I didn't realize at the time how sinister it is. I think I was thinking of Big Brother, surveillance and control." His ominous plans include drive-bys and trailing you at the mall, supermarket and on the bus. What a weirdo. Creeper alert. This 2005 song seems like a love song, but listen closely and you'll see an unhealthy fixation on a stranger. A man spots a woman on a subway and develops a preoccupation with her. From brief eye contact, he perceives that they "shared a moment that will last till the end." Thankfully, however, he admits to himself they'll never be together. Five years previously, the man in this wicked 1981 song met his love interest when she was a waitress in a cocktail bar. Now that their relationship has ended, however, he refuses to move on. Watch out for the spurned woman in this 2014 hit. A wronged woman seeks vengeance on a man whom she says should have known better than to mess with her. She threatens to love him "until it hurts" and promises that he'll end up hating her. A person who wears sunglasses at night either has vision problems or they're dangerous. In this 1984 song, it's the latter. The guy watches a woman but also reports visual hallucinations; he says the glasses help him "keep track of the visions in my eyes." He also tells his target not to "switch the blade on the guy in the shades." He's trouble waiting to happen. Call the police. repeatedly given someone unwanted gifts to try to get them to like you? repeatedly called, visited, or made contact with someone over social media when the person didn't want you to? tracked someone's movements electronically, followed them, or had others "keep an eye" on them and report back to you? received this type of unwanted attention yourself? "Hello, is it me you're looking for?" asks this 1984 song. A man has become irrepressibly smitten by a woman who occasionally passes by his door. He longs to introduce himself by telling her that he loves her, and he fantasizes that she will love him too. Dude, get a life. Stalking is a crime under the laws of 50 states, the District of Columbia, the U.S. Territories, and the Federal government. And you don't know how much I'd give or how much I can take. This song from 2000 is Eminem's most highly acclaimed, but it is often censored for its disturbing level of violence. The song features an escalating exchange between "Stan," an overly zealous fan, and the celebrity he worships. Stan grows more frustrated and bitter when his fan letters are unanswered. Finally, he commits murder-suicide and makes a recording of his death for the celebrity. 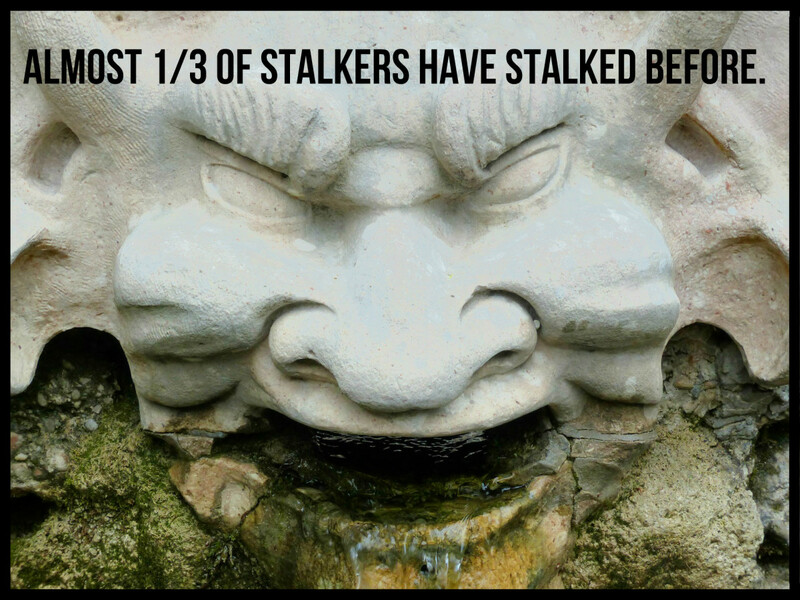 Share your stalker, creeper or story of obsessive love in the Comments Section below. The lyrics of this song from 2000 surely will make you shiver. It's about an obsessed lover who won't take "no" for an answer, so he follows her. (Like that will change her mind!) His target may look straight through him, not seeing that he is there, but he issues this warning: "I'll always be waiting for you." He further taunts, "Just you try and stop me." It looks like a fellow rocker named Stephen has found himself some dangerous, unwanted attention. The protagonist in this 2010 song is seriously pissed that he won't return her calls, and she won't let his girlfriend stand in the way of their eventual coupling. My drug of choice, my sick obsession. First released in 1977, there are multiple versions of this song. All of them feature a desperate man trying in vain to get the attention of a woman he is obsessed over. People were obsessive back in the 1960s, too, although they didn't have a name for stalking. Think of this 1963 song is a creepy trailblazer. A woman describes how nothing will stop her from following the man she desires, no mountain, no ocean, nothing. She calls him her "destiny." Oh, oh, ohh, I'm on fire. The stalker in this disturbing 1982 song is so close he's breathing down his target's neck. He says he'll hunt her down like prey and that his mouth is watering. I hope she is locked, loaded, and ready for him. "Did you forget about me, Mr. Duplicity?" asks the distraught, frenzied woman in this Grammy Award-winning 1995 hit. She interrupts an ex-lover's dinner with his new fiancee. Then, in a scathing tear-down she berates both him and his new lady friend. Alanis Morrisette wrote the song based on her own experience with an ex-boyfriend. Some people you just don't mess with! This 1993 is the reminder from a nefarious stalker who intends to never give up. The menacing man in this 1989 song calls a woman he is in love with just to hear her voice. He is sad that she seems to be avoiding him and promises that he'll always be waiting for her. Poor Jenny. Someone wrote her name and number on a bathroom wall ("Call for a good time"), and now this obsessed stranger won't stop harassing her. He's memorized the number and now thinks he needs her love. The deranged man in this 2003 song is transfixed by a woman who doesn't notice him, and he believes he is nothing without her. He can't tell her how he feels because of the threat of rejection, yet he wants to spy on her like a fly on the wall. Does she even know she has a stalker? Listen to the lyrics of this 1980 hit. and you'll know that the unconditional acceptance offered by this man is seriously unhinged. All coiled up and hissin' ... .
89. Why Don't You Write Me? 120. How Can I Miss You When You Won't Go Away? Did we forget one? 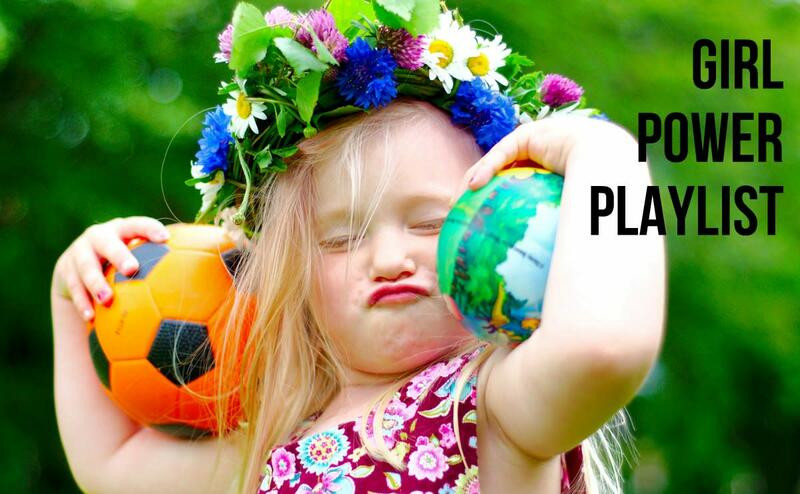 Make a suggestion in the Comments Section below! Why would Sarah McLachlan use the lyrics penned by her stalkers in the song, "Possession"? (One stalker died by suicide before the album was released.) I used to like the song but now can only think of how creepy it is. The use of those lyrics is definitely creepy, I agree. Perhaps she used it and wrote about the topic as a way to reclaim what happened to her, as it must've been terrifying. Just as many people find it cathartic to talk about a traumatic event, she used the experience creatively to get it out of her system. It wouldn't have necessarily been my choice, but songwriters often use their personal experience in their work. Watching - I'm glad you got the authorities involved. Be SAFE. Im a woman being stalked by a crazy loser and all her loser gang stalking posse. They are being watched too by many so if you are one being gang stalked make sure you contact the right sources to have these losers watched and eventually put in jail. Ana - Thanks for the recommendation. I've added it! what about Hostage by Billie Eilish? Lachlan - Thanks for your song suggestion. I think it's about pairing up with others at closing time and it's also been said to be a metaphor for birth, although I could be wrong. The songwriter wrote the song in anticipation of fatherhood. I appreciate your reading. Have a great week. Was Closing Time by Semisonic another stalker song? Chris - I think Ron was up to sinister things, just don't know what exactly. He knew a lot about the lady who lived in the apartment before me. I suspect she didn't share it directly with him, however. Your personal story gave me chills, what a terrifying situation. It's a good lesson for anyone moving out on their own for the first time. So many of the songs you listed are some of my favorites, but that's probably because I wasn't listening to the lyrics as closely. I'll just have to listen to them again. Lachlan Brown - Thank you for the song suggestion. I've added it as #132. Have a great weekend! SadSongCollector - Thank you for that song suggestion. Kyle and Megan - I had never heard this song but I'm so glad you recommended it. Loved it. And of course, I added it. Thank you for the time you both spent leaving comments. Megan - Thanks so much for the song suggestions. I've added a number of them. Have a great week! Riley - Thanks for the song suggestion. That is really a scary song. Lucky - It's 119 now. Thank you. Lina Lin - Great song! It's on there now! Thank you for that song suggestion, and have a fabulous Thanksgiving. OMG...... THE number ONE song about obsessive love to the point of murder and victim blaming that I have ever heard is not on this list: Hey Ho, by Gin Wigmore. No song on this list even comes close to being as blunt about dangerous obsession as this song does. JaCee Val - Thank you for these recommendations. Truly creepy. I have added them. It was made for Amy Lee's stalker and how she was becoming paranoid and crazy the more she was being stalked. "Running through the parking lot/He chased me and he wouldn't stop/Tag, you're it/Tag, tag you're it/Grabbed my hair, pushed me down/Took the words right out my mouth/Tag, you're it/Tag, tag you're it/Can anybody hear me? Am I hidden underground?/Can anybody hear me? Am I talking to myself?" anon - Thanks for the heads up. I've made the adjustment. I appreciate you. Mandy - Thank you for sharing your account with an overzealous admirer turned emotional blackmailer. Somebody is obsessed about my boyfriend and she's now becoming a pest. She tried to make up stories so I would let go of him, but I couldn't find myself mad at him when I learned that he had been with her. But he explained it was because of the business that he had to stay at her house, he did not realize he was actually doing everything just to get him, until i pointed it out. It had put a strain in our relationship since she was annoying him everytime i call. Now that his eyes are already open, he tried to cut their communication, she calls him all day and tries to emotionally blackmail him. He has no fb because i shut down the one she created for him, it's not his thing, but she has been stalking me on messenger, posting their photos together(stolen shots) on My Day, but i've blocked her already. And both of us on whatsapp. Now, she's telling him things about me, which are no secret, but irks him to the point that he's blowing steam on me, via whatsapp. I'm curious about "Off to the Races" - it never struck me as "stalker-y." Dwolf - Glad to see you've joined HubPages. Hope you will write some hubs or perhaps share your personal experience with stalking. Stay safe. DWolf - Excellent additions! They are now on the list. I'm so sorry you received obsessive, unwanted attention from stalkers. We often have no idea the kind of emotional baggage that people are carrying around or what they may be capable of when they don't get what they want. Yes, women can stalk men. The movie "Fatal Attraction" is still one of the most frightening movies to me because it's rooted in human behavior -- complex and often unpredictable. Thanks for commenting. Ashleigh - Awesome add! Consider it 107 now! In a talent show I performed ''Your Love is my Drug'' clean version. Sha - He was a weirdo, all right. I never thought about many of the lyrics but now that I've looked closely at them, I'm pretty amazed. Thanks for reading! Flourish, you had quite the creepy (scary) introduction to living on your own! I'm glad you finally got out of there. The man was delusional and probably dangerous, if provoked. 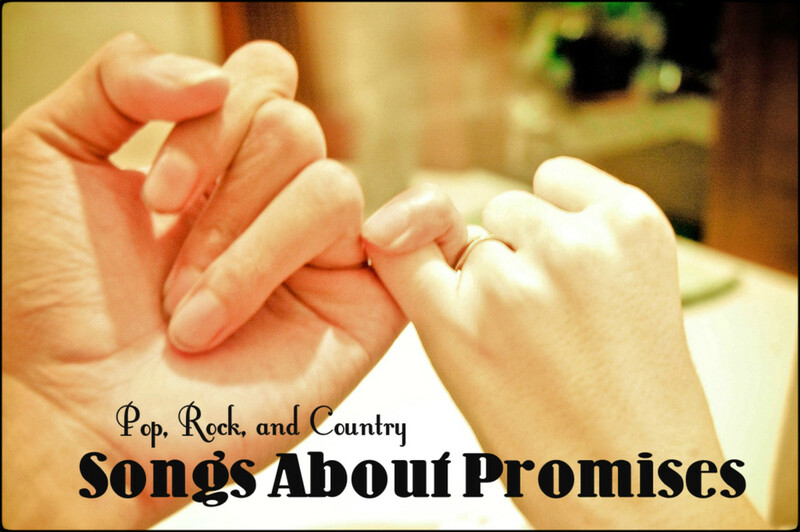 So many of these songs surprise me that they're about stalking and/or obsessive love. I didn't interpret them that way at all as I sang along and looked forward to hearing them on the radio. Now I feel kinda dirty - naive at the very least. Larry - Yes, some of these songs are super creepy when you read the lyrics. Every Breath You Take definitely deserves the top spot. Thanks for reading. Gemma - Now you've given me the willies with that information on Diane Downs! I now wonder what ever became of Ron, if he is still alive and un incarcerated. For everyone's safety let's hope he is locked up or has gone to meet his maker. Thanks for reading! This Ron character gave me the willies. These are the kind of fellows that can snap, unexpectedly, and are in dire need of therapy. The fact that he let himself into your apartment was a clear case of B&E. Thank goodness you moved, and thank goodness stalking is a crime. 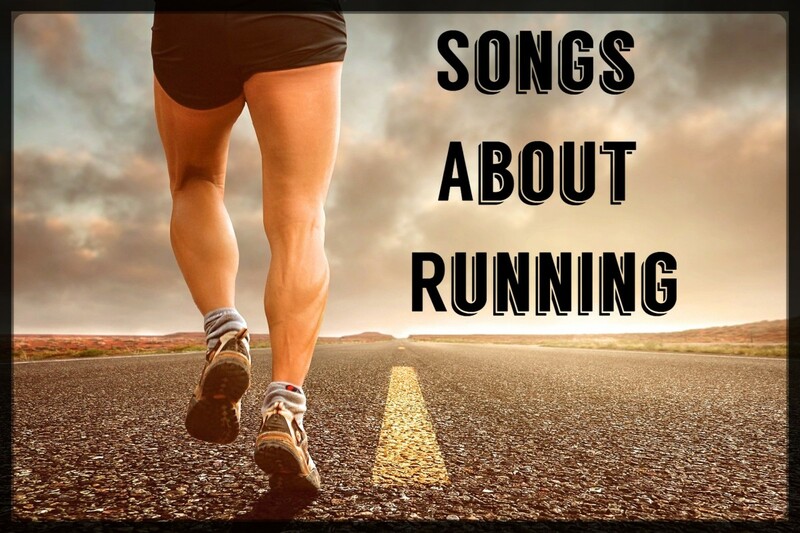 This is an amazing selection of music. By the way, the song by Duran Duran, "Hungry Like a Wolf," was a favorite of sociopath Diane Downs, a stalker and murderer who attacked her own children. Kaili - That is a creepy one. I'm adding it! Thanks for the suggestion. vespawoolf - Thanks for taking the time to read my first-hand account of my neighbor who broke laws, boundaries, and trust. Linda - Thank you for your kind kudos and for sharing. Stalking and obsessive attention (which sure isn't love!) don't get enough recognition for the danger that they pose to the target and his or her loved ones. This is a great music article and so much more, Flourish. You've shared very important information and advice about stalking. I'll share the article because it's not only entertaining for its music reviews but also important for people's safety. 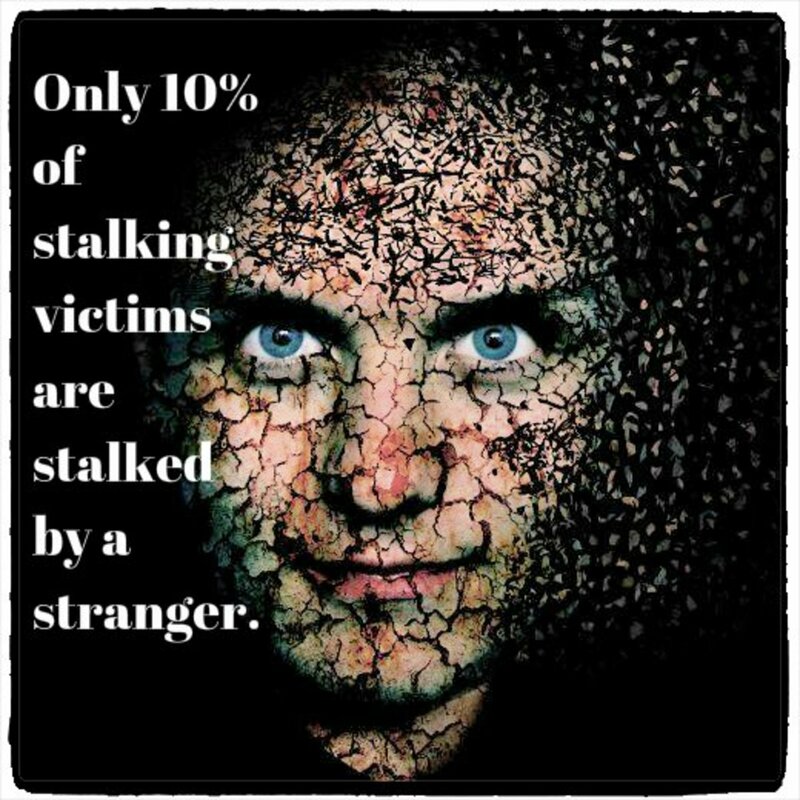 I hope your experience of being stalked could help others to avoid a similar situation. 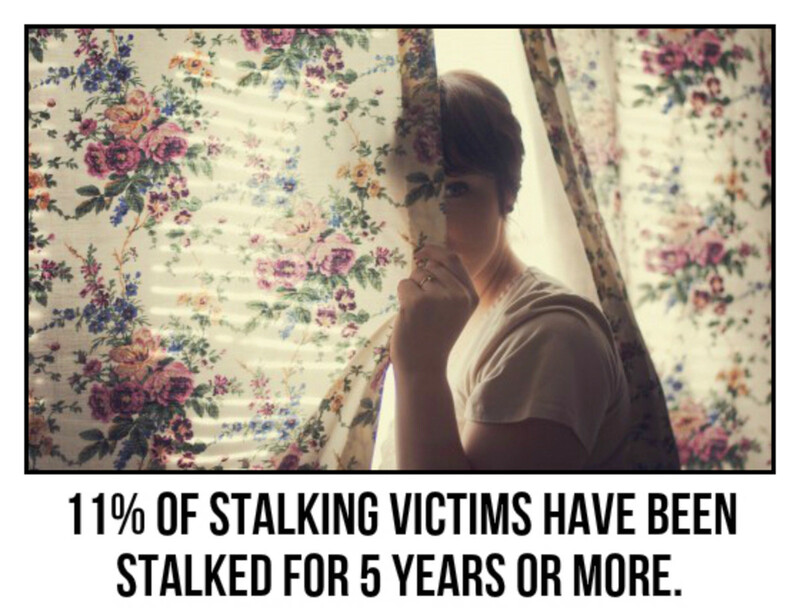 Unfortunately, stalking is all too common. The first song I thought of about stalking was from The Police. Many of the others I hadn't even thought about. Thank you for this interesting article. What a creepy neighbor...so glad nothing happened to you! The song I always thought was creepy was by innocent old America, "Right Before Your Eyes" is the song. I even know what you do"
swalia -"Every Break You Take" is creepy alright but it was so popular back in the day! What were we thinking? Thank you for reading and commenting. MsDora - Thank you for stopping by. I'm glad you were able to find some songs you like. 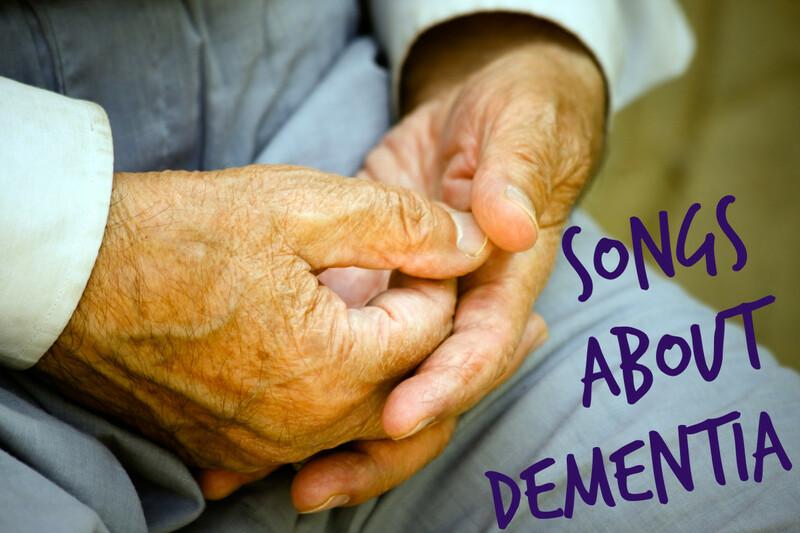 We often don't pay a lot of attention to the lyrics, even for our favorites! Scary story about Ron. Happy for you that the story had a good ending. I appreciate the patient research it seems to put into compiling these lists. Played Lionel Ritchie all the way through. Didn't understand the drama until now. Thanks! A thorough and carefully compiled list. 'Every breath you take' rightfully deserves the top spot. Susan - I agree. If he wanted to play with my orange kitty he could've just asked. Some people are just so freaky. I'dbet he was sitting or laying on my furniture and going through my cabinets, mail and dresser drawers too. Yuck! Devika - Thanks so much for tweeting and for commenting. I wonder whether stalking and creeping are as much of a problem in other cultures. Someone invading your home space is really unnerving. The place where you are supposed to feel safe. In movies, that's always the thing that gets me most freaked out! Love the playlists. heidithorne - Thanks for reading! When you have to sneak into your own apartment to try to avoid a neighbor, that's a big sign something isn't right. Then came the terrifying evidence! The Gift was a super creepy obsessive movie! Have a great weekend. Linda - He was a really weird guy. Somewhere out there he's probably still creeping on other people. Thank you for reading! Have a great weekend! Bill - Thanks for reading. Creepers abound in popular music, movies and culture! Have a great weekend! Wow, Flourish. Your story gave me shivers. Thankfully you escaped Ron without being harmed. I love your playlist. Thank you for discussing this important topic. Great hub. (I wish we still had the thumbs up's). Yikes! Glad you got away from your neighbor and lived to tell. 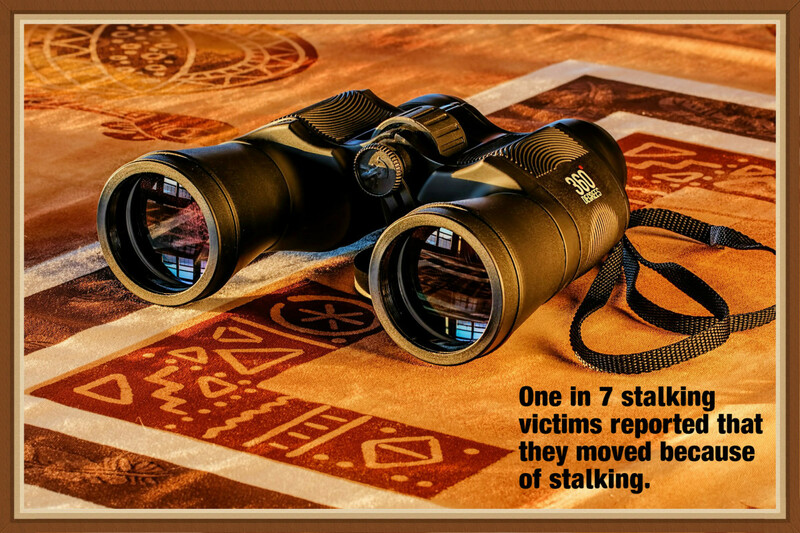 It's interesting that we definitely abhor stalking behavior. Yet, as your playlist demonstrates, we are fascinated by it, even condone it. In one of his books, Wayne Dyer noted how the lyrics in so many popular songs are so victimizing ("Can't live if living is without you..."). Sad. Movie to add to the creep list. "The Gift" from 2015 with Jason Bateman and Joel Edgerton. OMG! Hope your weekend is creep-free and wonderful! Just the title of this article creeped me out. 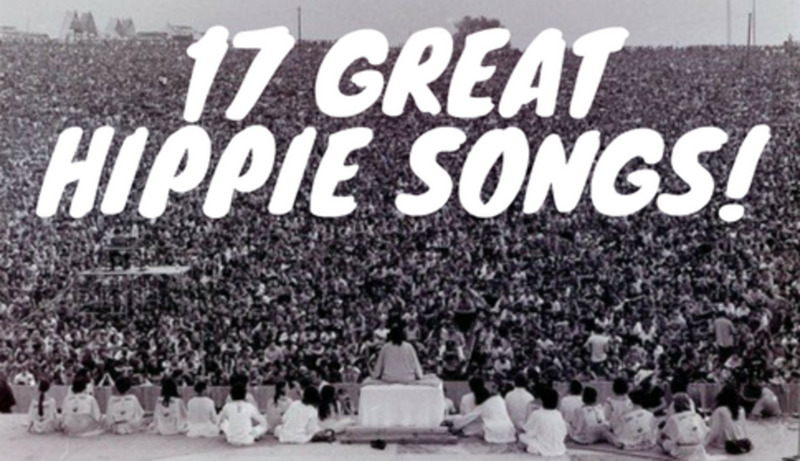 There are a couple songs on this list that I love and had no idea that's what they were about. LOL I'm glad I read this. :) I always love these lists of yours. Faith Reaper - Looking back, I imagine that Ron had some unsavory secrets that I didn't know about -- even though he tended to overshare. The thought of an uninvited person sneaking into one's living space and doing who knows what is so repulsive. My cat Oscar didn't tell me about Ron's visits but I forgave him because he was a baby. Ron's demonstration of how he could climb onto my second story balcony patio really sealed the deal. Bonafide demented guy. I can imagine that you are so friendly in person and that some people misinterpret that as an invitation to intrude upon your life in unwanted ways. The following page is very interesting, as it describes good vs. bad advice for victims of stalkers: http://www.the-upper-hand.com/2011/05/good-advice-... It seems that even the experts don't agree on how to appropriately handle criminal harassment. Researching songs and their lyrics really opened my eyes that stalking and obsession are such pervasive themes in our culture. I've also been singing at least parts of REO Speedwagon's song, "Keep on Lovin' You." Except for the striking lyrics about the snake in the grass, it sounds like a sweet, devoted song of forever love. I'm so glad you saw through your creepy neighbor, Ron, and moved away! No telling what that guy is capable of doing. I would totally freak out if I knew someone had been in my home lurking around. Well, I know I have been stalked a good bit, and who knows ...probably even now. As you point out, the stalking lasts years. My mother taught us to always be aware of our surroundings. Being I am a friendly and approachable person, unfortunately, many times attracts those unwanted savory characters. 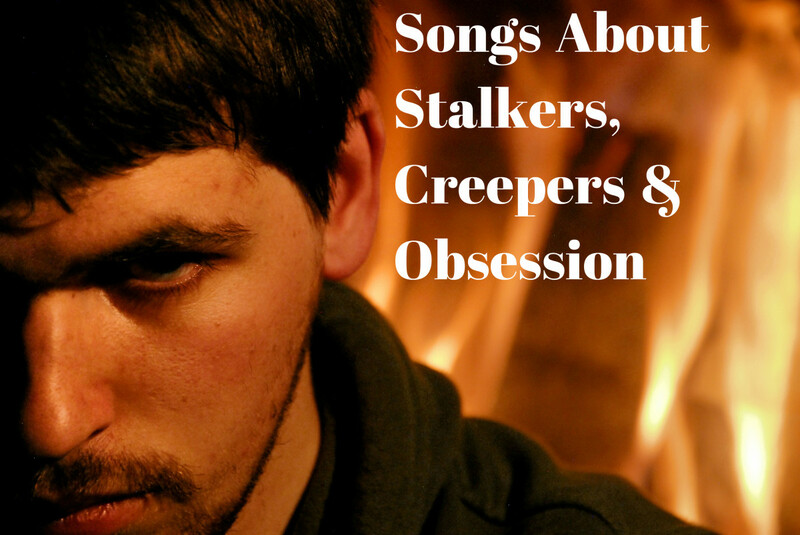 I believe you've covered all the creep stalker songs, but I had to laugh at some being I never really thought of them to be stalker songs, like REO's Keep on Lovin' You. I guess movies about stalking are so popular because it is unnerving to think that is happens all the time, and who knows, maybe happening at this moment. Important hub to bring awareness.